There are so many strains high in CBD that are constantly hitting the market, you are not the only one having trouble keeping track of them all! 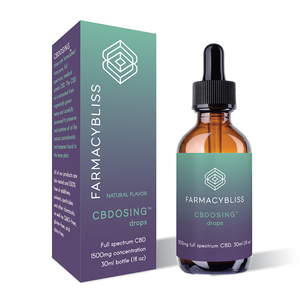 Are you wondering what exactly is CBD? CBD stands for cannabidiol, a non-psychoactive cannabis component with a variety of well-studied benefits. These benefits include pain relief, anti-inflammatory and anti-epileptic properties, it strengthens bones, makes a fantastic anti-nauseant and can reduce anxiety. A strain can be high in THC, CBD, or a combination of the two. Both compounds have distinct medicinal properties, some of which are intensified when both compounds are present. 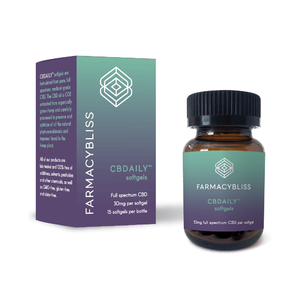 This makes a CBD high especially useful for pain or nausea relief. Are you looking for some information about some of the best strains high in CBD, for the best cbd oil high? Look no further! Pennywise undoubtedly has the most terrifying of all the names listed below; that is if you are familiar with the Stephen King book from whence this character came. Don’t be afraid though, this name is as a result of Pennywise being a genetic cross of Harlequin and Jack the Ripper. It has Jack the Ripper’s sharpness and clarity, and an even 1:1 CBD/THC to make this a serviceable and delightful strain, no matter the dose. Harlequin is easily one of the most popular CBD strains. 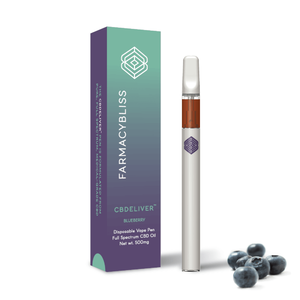 It typically tests around the 5:2 CBD/THC ratios; it provides a primarily sativa alertness with only slight euphoria. Harlequin has a nice happy twist that elevates just about any activity at hand! Ringo’s Gift – This strain is named for activist, CBD expert and founder of SoHum Seeds, Lawrence Ringo’s Gift is a combination of Harle-Tsu and ACDC. It’s excellent for patients seeking a nearly complete CBD strain; it has an average ratio of 24:1 CBD/THC. Sweet and Sour Widow is a happy middle ground with a 1:1 CBD/THC ratio. It’s a perfect distribution for first-time cannabis users, and a delightful opener to both THC and CBD without being too intense. This strain is also suitable medicine while providing a slightly stoned and euphoric effect. ACDC has a cannabinoid content that has high CBD, usually sitting in the vicinity of 20:1 in its CBD/THC ratio. A slight amount of THC makes ACDC a brilliant companion for daily medicinal cannabis users seeking to relieve anxiety, pain and tension. A CBD high is not like that of THC as it is more of a body sensation and not psychoactive, hence why it’s excellent for anxiety. Cannatonic isn’t nearly as tranquilizing as the name suggests! This strain usually brings a lighter CBD/THC division, which ranges from 5:1 down to 1:1. This uniformly distributed cannabinoid is flexible to use Cannatonic medicinally or as a calm and pleasing, strain for unwinding. If you’re looking for a lovely, balanced strain, Canna-Tsu is a perfect blend for you. Canna-Tsu provides a complex blend of aromas and flavors; a CBD connoisseur will be delighted with this particular strain. Lawrence Ringo is both a well-known grower and activist; Sour Tsunami came about by combining Sour Diesel and NYC Diesel. This CBD high strain has truly redefined the medicinal qualities of cannabis. For quite some time now there’s been an ongoing argument for hemp CBD vs cannabis CBD. Let’s evaluate the differences between the two plants, not only how they are cultivated, but also the differences in the CBD oil produced—in addition to how these differences in CBD oil will affect those who use it. First, let’s look at the differences between the plants that make CBD oil and which has high CBD. To start with, the two plants look physically different. This is due to the different reasons that both of them are grown. Cannabis, grown for its flowering buds for reasons of smoking or THC extraction, are generally short and wide. Hemp, on the other hand, is tall and narrow as it is not grown for its buds. Hemp is low in THC and is often grown for a variety of purposes including the manufacture of materials. CBD has been bred out in modern western strains, the goal being to produce strains high in CBD. CBD is a recessive gene, so it needs to be carefully chosen in seed lots. It also helps to have a basic understanding of Mendelian inheritance when creating seed. It’s best to use one or both parents that are high in CBD, then all the seeds should have some CBD in them. When crossing two mixed ratio plants things can be slightly complicated; it can be really helpful to have your plants tested so you can at least make an educated proposition on the end result. You may incur some expense when it comes to growing and testing your seed, this important is often missed and key to creating strains high in CBD. The primary difference when giving consideration to the hemp CBD vs cannabis CBD argument is the differences in levels of CBD and THC the oil contains. Hemp has high CBD levels and insignificant levels of THC, and vice versa for cannabis. A CBD oil high is much more of a body sensation, promoting relaxation and calmness. CBD has positive conclusions in a wide variety of illnesses; it has been shown to improve overall health, not to mention skin and hair. 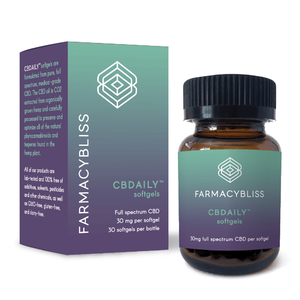 It’s predicted that in the coming years more and more positive evidence will be available to show the vast health benefits and treatments involving CBD. While THC can benefit other disorders it can come with drawbacks, such as the sensation of being high, which may induce feeling anxious, paranoid etc. Further to this, CBD is legal whereas THC is not. To utilize marijuana medicinally, it has to be legal in the state that you live in, in addition to being prescribed by your doctor. Hemp CBD is much more accessible to consumers and the CBD oil high has been shown to be safe for all users. This includes children, pregnant or nursing women, and those who cannot or do not take pharmaceutical medicines and who may want to use alternative therapies. When choosing between hemp and cannabis, hemp seems to be the best option. Hemp CBD is safe and easy to use, not to mention being easier to access. Cannabis CBD does have its benefits, nonetheless, a hemp CBD oil high prevails in regards to positive benefits and ease of use.